Follow your imagination and take a walk through the gorgeous streets of the world's most romantic and unforgettable city in this new colouring book. 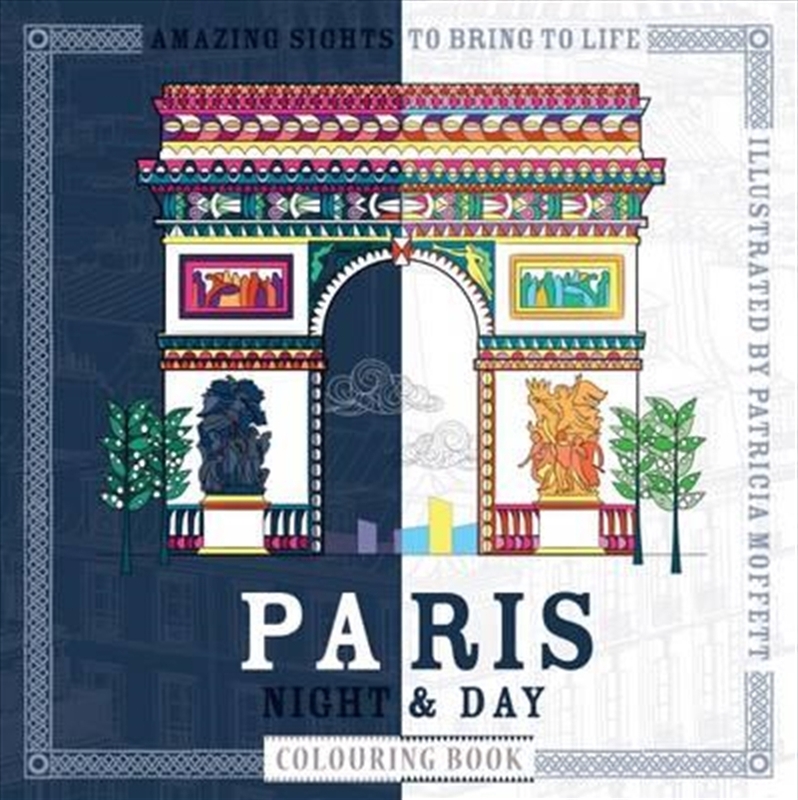 The perfect creative and mindful escape for people of all ages, Paris Night and Day has intricate and beautiful Parisian scenes for you to bring to life. From the Arc de Triomphe to the Eiffel Tower, Musee D'Orsay to the Pantheon, the unique 'night and day' approach lets you create vibrant masterpieces from your favourite Parisian places. Locate your inner zen with 90 illustrations to choose from, this colouring book takes your mind deep into the heart of Paris, where you can let your imagination, and your pens, run wild.